Vessels up to 160m LOA can lie alongside at Pembroke Port, only ten minutes from historic Pembroke Castle, while larger vessels up to 220m LOA are safely anchored on Milford Shelf, from where it is a short tender trip to the old docks and the bustling marina and restaurants of Milford Haven. Courtesy Shuttle Coach transporting guests into the nearby town center and around the various attractions at Milford Marina. 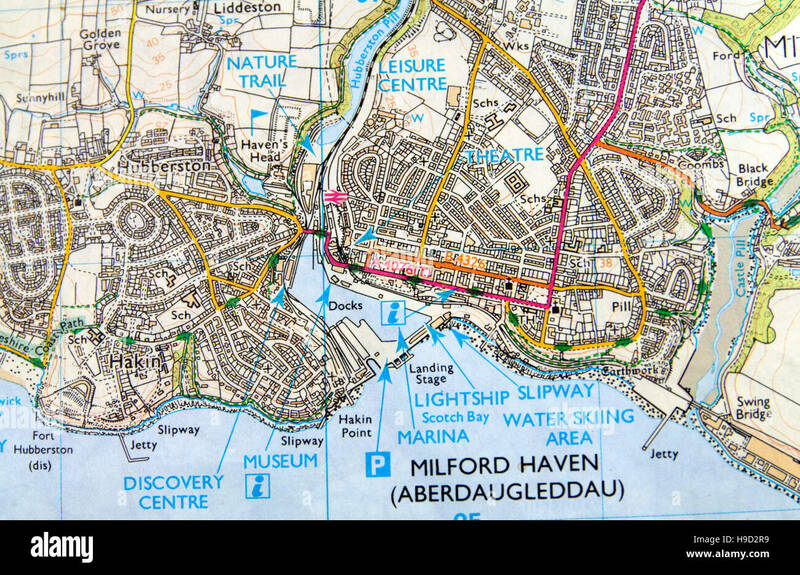 With some 13,000 inhabitants, Milford Haven is part of an area known as "Little England Beyond Wales." The expression reflects the fact that, although part of Wales, English, not Welsh, has for a long time been the predominant language here. Pembrokeshire, the county of enchantment, is situated at the western tip of Wales and boasts the UK's only Coastal National Park. Wildlife sanctuaries and nature reserves line the coast with islands such as Skomer and Skokholm, named by our 9th century Viking visitors and which are home to tens of thousands of shearwaters, puffins and a host of other fascinating species. Steeped in history, Pembrokeshire is home to numerous fortifications, including the spectacular Pembroke Castle, founded in 1093, and one of the largest and best preserved castles in South Wales and birthplace of Henry Tudor Vll, founder of the Tudor dynasty. Pembrokeshire boasts the smallest city in Great Britain, St Davids. Its beautiful 12th century cathedral is a magnificent shrine to Wales' patron saint. A pope once declared that two pilgrimages to St Davids were equal to one to Rome and three were equal to one to Jerusalem. As one of the deepest natural harbors in the world, set within the UK's only coastal National Park and one of the UK's prime tourist destinations, there could be no better Cruise Port for cruise ships than the Milford Haven Waterway. An interesting walk from the train station and Haven Head retail park takes you alongside Hubberston Pill to the hamlet of Priory where the remains of Pill Priory can be seen. Pill Priory was a Tironian house founded in the 12th century and believed to be a daughter house of St Dogmaels Abbey in north Pembrokeshire. Established by the Tironian order of Benedictine Monks. The pretty little seaside town of Tenby is the most popular Welsh holiday destination and with good reason. With a combination of picturesque harbor, historic walled town, interesting and unusual shops, good restaurants and three fabulous beaches, there's certainly plenty to do. Discover the gruesome side of the town on a ghost walk with Blue Badge guides or just explore on your own. Next stop is Carew Castle, one of Wales' finest castles, beautifully located alongside the millpond. The ancient Celtic cross and working tidal mill are also not to be missed. Carew Castle was the home of many colorful characters including Nesta - ‘Helen of Wales'. It is also from Carew that the ‘Red Dragon' flag of Wales originated. A few miles up the estuary is the mighty Pembroke Castle, a medieval fortress that’s largely intact. It was the birthplace of Henry Tudor – father of Henry VIII – and has an excellent exhibition center. Also within reach, and well worth visiting, are Carew Castle and Haverfordwest Castle.